Holiday packing for a family can be stressful. So much to remember, so little space to fit everything in. 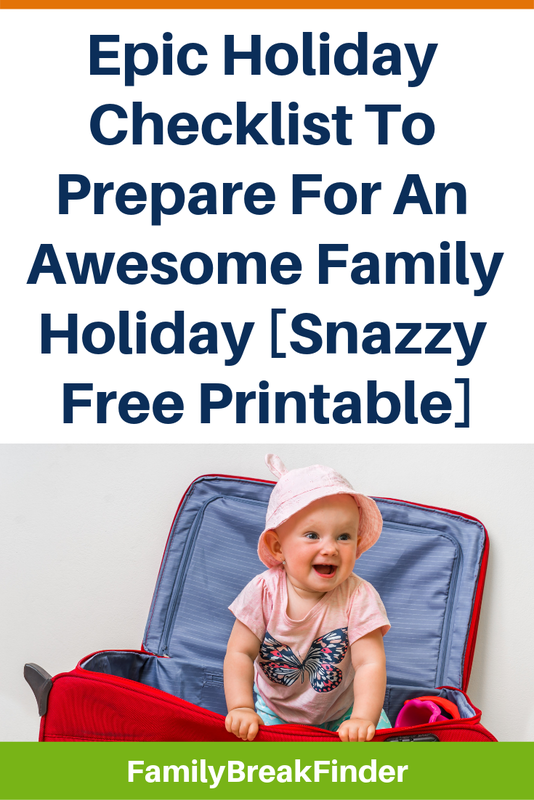 We’re here to save you time and hassle with The Ultimate Holiday Checklist, a HUGE list of everything you need to think about when it comes to packing for your family holiday. 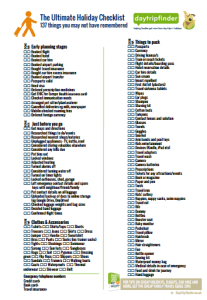 Unplugged appliances – TV, kettle, iron! 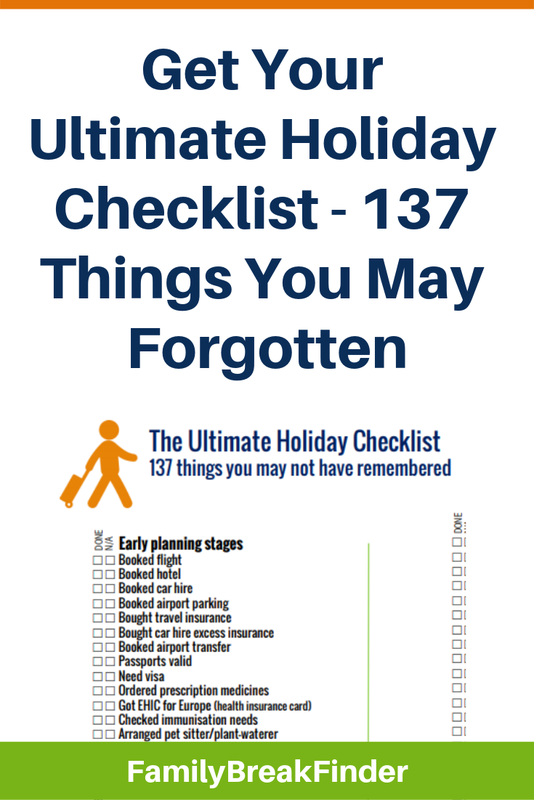 Download the free PDF version which is ready to be printed off (one page) and features handy tick boxes as well as space for contact numbers.